The refining fires of parenting never seem to let up. Sometimes the moments of that refining are humbling and hilarious. Often though, in our brief journey of parenting so far, the moments feel more heartbreaking than hilarious. This was one of those: It was the sort of night where everything felt dark. 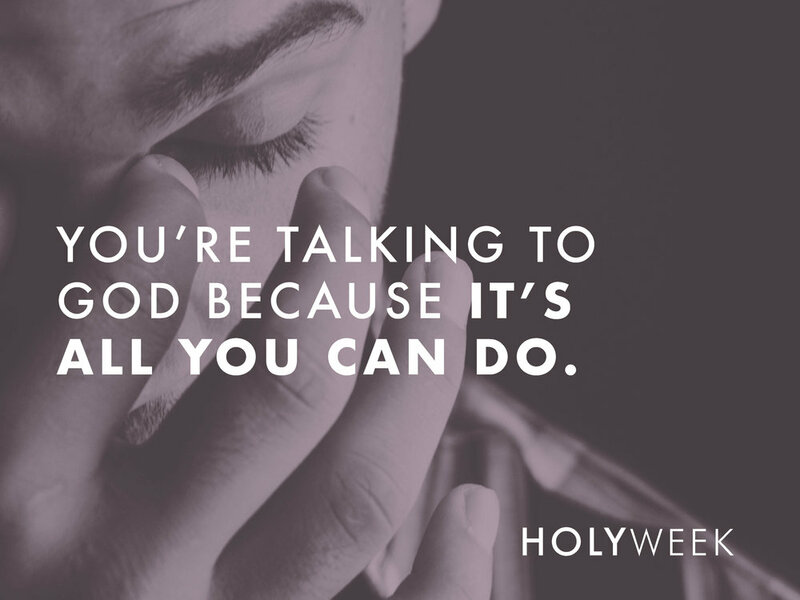 A night filled with the lonely spaces where you’re talking to God because it’s all you can do, but you’re wondering if He’s really all He says He is. You’re wondering if the goodness of God you’ve always professed is really quite as good as you thought it was. You’re wondering if God is even there in the midst of the hell you’re living in. As my wife sobbed next to me, I sat helplessly wondering why God would so clearly ask us to step into something that felt endlessly painful and without any redemption. What could even be redeemed at this point? All the corny, maligned scripture quotations that sounded true and good in bestselling books and blogs came up shorter than short on this night. There were only hearts beating out of control and tears. Then there was a numbness, the sort of thing you do to protect yourself from the deep depression and sadness sinking into the deepest parts of who you’ve always known yourself to be. While the hard spaces of life that we’ve found ourselves in over the last few years pale in comparison to the agony and darkness Jesus felt that night in Gethsemane, as I read through the narrative of the night Jesus was arrested, I’m strangely comforted that Jesus wanted a different chapter than the chapter he was given to live in the story God was weaving into history. As we are figuring out what it looks like to love people in our lives well, I find hope in knowing that even Jesus begged God for a different outcome. There is a grace in knowing that the Son of God may have wondered where the good could be even as He knew the very good He had come to die for. And still, at the end of the dark, lonely, agonizing crying out to God, He would say: nevertheless, God’s will be done, even if I wish it wasn’t quite the will I’m stepping into. There is hope found inside that tension. In the safety of Jesus’ love there is a freedom to feel and push back with all that we are. There is a freedom to honestly bring all that we are before the God of all creation. He’s the Father that listens to us sobbing, asking for another way. The Father that pulls up a chair for us at His table and hands us a hot cup of tea as He listens carefully to each of the reasons we think we know better. And then, in the juxtaposition of His matchless power and compassionate kindness, He reminds us that He’s still there and the redemption is coming, even if it kills us, the redemption is coming. Seth King is director of elementary at Imago Dei.